« Are You Experiencing A Spiritual Awakening? Q: What do the Akashic Records contain? The Akashic Records contain ‘tablets’ that are encoded with each action, deed, emotion, intention, thought and spoken word that has ever existed. Q: I’m a Christian and wondering if the Hall of Records / Akashic Records is mentioned at all in the Bible? Yes. 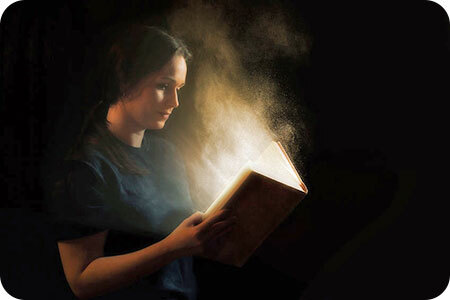 The Akashic Records is also known as The Book of Life, and that is how it is referred to in the Bible. You will find mention of it in the following passages: Exodus 32:32, Psalm 139, Dan. 7:10, Rev. 20:12 and also in Philippians 4. Q: How do you get access to the Hall of Records? Q: Who would benefit from an Akashic Reading? Q: What do most people want to know when they come to you for an Akashic Record Reading? They often want to know who they were in their past lives and what their soul purpose is in this life. Q: Do you personally go into your own Akashic Record and if so what have you found to be the most helpful for you? Yes I have, and for me it has been amazing in finding ways I can protect my energy. I make better, wiser decisions, for example, who I allow in my environment and who my companions are. I also do not drink any alcohol, as I have seen through many other readings that this does in fact help the door swing wide for negative entities to come in to wreak havoc in our lives and set up snares, keeping us off the path of truth and light. I often see the negative domino effect of this when looking at my clients’ records. Sometimes we even need to set up healthy boundaries from those who do things to screw up their mental faculties. Once I set my own healthy boundaries I have seen my life change substantially for the better on so many levels. If you would like me to look at the Akashic record of your soul, past, present and possible future, and learn ways you can change it for the positive and help you live the best life possible through knowing this information, I would love to help you experience your first Akashic Reading.